With a conventional office, you're only concerned about the square footage, but ceiling height is important for an industrial space. You'll want to compare the overall volumes of various buildings to get a feel for how much storage space there is for raw materials and finished products. Ceiling clearance will also be important if your team will be using large machinery or equipment. Make sure to examine the loading dock and take measurements if they are not provided by the landlord. It's vital that the area is large enough to accommodate vehicles and to allow for easy loading and unloading of materials and products. Never take safety for granted when considering industrial spaces. Ask about what type of security systems are in place to protect your property and what type of fire suppression systems are used in the building. You may also want to inquire about flood protection and climate control, depending on your location and line of business. Don't assume that the landlord knows what kinds of operations can take place in their industrial building. Double check the local laws and regulations to ensure that you can do business in the prospective location. Examine the building and location from the perspective of a team member who will be working there every day. How long will the commute be? Is there ample parking available? Are there businesses like restaurants and stores within a close distance? Taking the time to consider these points can help to ensure that your location does not increase employee turnover or negatively impact morale. 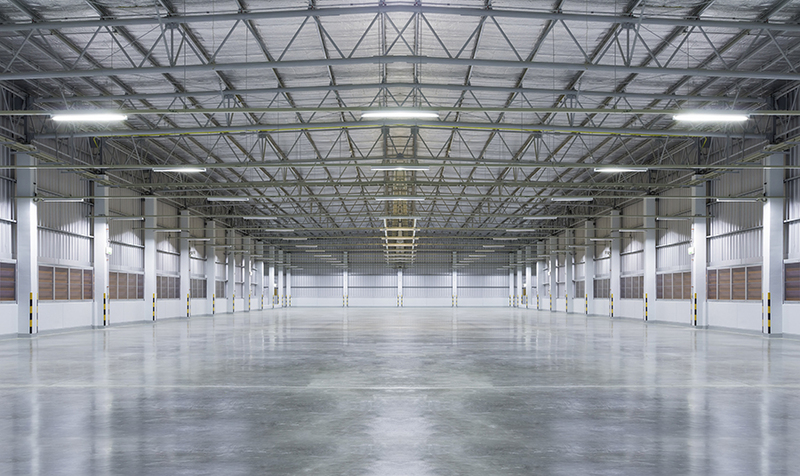 When considering an industrial space, you'll want to think about how likely the building is to be able to continue to meet your company's needs over the life of the lease. Do you foresee needing more warehouse space or expanding your lines of business? Also, take into consideration the amount of maintenance and repair work that may be needed to keep the building in good condition, as capital expenditures are often passed along to tenants. Go beyond just the basic dimensions for the building. Take note of how wide doorways and hallways are as well. This will help to ensure that your equipment, materials and products can easily flow through the location. Don't forget to ask the landlord what type of wiring is in place in the building to ensure that it is compatible with your equipment and machinery. If not, find out who will be responsible for the cost of rewiring.